When back pain turns into a chronic condition, patients seldom find sufficient pain relief with conventional medical care. While you try one treatment after another, the pain only becomes more debilitating. Keith Smigiel, FNP-C, DC, FIAMA, at ReGen Pain & Wellness offers holistic options that effectively alleviate back pain. With customized treatments that draw from chiropractic care, regenerative interventional treatments, and physical therapy, you’ll regain optimal back health. 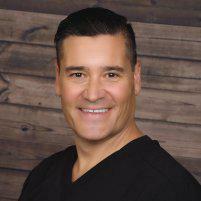 To schedule an appointment, call the office in Scottsdale, Arizona, or use the online booking feature. These conditions cause back pain when they place pressure on nerves in the spinal cord. Will I develop symptoms in addition to back pain? In addition to the pain that affects your back and limits your movement, you may develop other symptoms from a compressed nerve. When nerves are pinched, you can feel pain, tingling, and numbness along the length of the affected nerve. Sciatica occurs when the sciatic nerve is compressed at the base of the spine. As a result, patients develop excruciating pain that radiates down through their leg. In severe cases, a pinched nerve also causes muscle weakness. One of the best-known chiropractic techniques, spinal manipulation, alleviates back pain by realigning the spine, relieving pressure on nerves, and restoring blood flow that supports natural healing. PRP is made by drawing a sample of your blood, then centrifuging the blood to separate platelets from the other blood components. After Dr. Smigiel injects the platelets into the area causing your back pain, the platelets release growth factors that reduce inflammation and stimulate tissue regeneration that heals the underlying problem. Stem cells release exosomes, which contain substances known to accelerate healing and trigger new cell growth. Dr. Smigiel can inject concentrated exosomes to help relieve your back pain. Dr. Smigiel injects medical grade dextrose just below the skin, where it facilitates healing of inflamed and injured nerves. Physical therapy includes numerous techniques, such as massage, active and passive exercise, therapeutic ultrasound, and nerve stimulation. Your back is relieved as this type of therapy boosts circulation, reduces inflammation, strengthens muscles, and improves movement. When you undergo functional rehabilitation, your customized treatment plan takes you through the training needed to restore optimal mobility and strength. 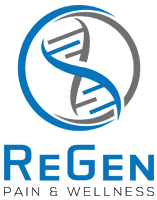 If you suffer from back pain, call ReGen Pain & Wellness or schedule an appointment online to learn about effective, innovative treatment options.